Congratulations to Catherine, TOBA’s October member of the month! Horse racing enjoyed a banner year in 1978. Affirmed and Alydar’s rivalry catapulted them to the top of the sport; a talented juvenile, Spectacular Bid, topped his division; and, near Georgetown, Ky., Catherine Parke founded Valkyre Stud. 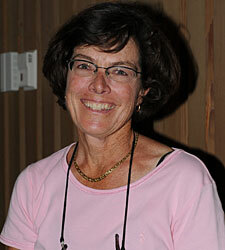 Looking back on her career in breeding, raising and consigning, Parke always knew that the equine life was for her. She rode horses as a child and entered the Thoroughbred business “as a way to be around horses all the time and make a living out of it.” After graduating from the University of Kentucky in 1972, she worked for well-known consignors Lee Eaton and Victor Heerman, renowned horseman Henry White, then three years as a bloodstock agent for Bloodstock Research and Statistical Bureau. Parke purchased her farm one year after buying her first mare, fifteen-year-old Oldest Girl. 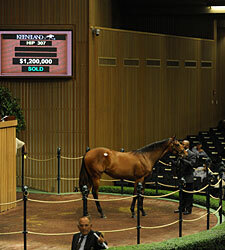 Parke sold Oldest Girl’s weanling at the Keeneland sales to finance her farm’s down payment. At any given time, Valkyre houses a maximum of 35-40 mares. It is currently home to 28 weanlings of which half will be sold as yearlings, the remainder will be retained by their breeders to race. Irish agent Demi O’Byrne outlasted all other bidders to acquire a Bernardini colt for $1,550,000 at the Sept. 12 third session of the Keeneland September yearling sale in Lexington. Produced from the Carson City mare Wilshewed, the colt is a half brother to grade I winner and sire Stormello. He was consigned by Catherine Parke’s Valkyre Stud, agent for Mr. and Mrs. William Currin. 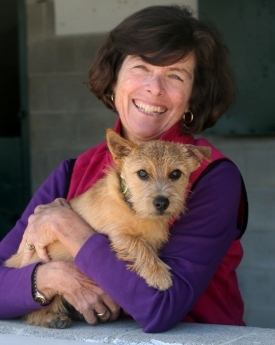 Catherine Parke faced a dilemma at the 2010 Keeneland September yearling sale. A handsome Bernardini colt in her Valkyre Stud consignment wouldn’t allow his throat to be examined endoscopically. If she didn’t force the issue, it could reduce his appeal to prospective buyers. If she did, he might injure himself and his handlers. In the end Parke said she decided “to put the horse first” and let Algorithms avoid the close scrutiny. That choice hurt his value in the auction ring, but it paid off in the long run. 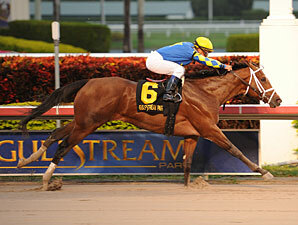 On Jan. 29, the bay 3-year- old romped to a five-length victory in the Holy Bull Stakes (gr. III) at Gulfstream Park. His beaten rivals included last year’s champion 2-year-old and Grey Goose Breeders’ Cup Juvenile (gr. I) winner Hansen. Consignor Cathy Parke of Valkyre Stud recalls Holy Bull winner Algorithms at her farm and as part of her consignment at the 2010 Keeneland September Yearling Sale. She shares the story of how the horse was reluctant to scope but that didn’t stop bloodstock agent Frank Brothers from spotting a good horse on behalf of his client Jack Wolfe. With his victory in the Grade 3 Holy Bull Stakes at Gulfstream Park on Sunday, Algorithms outran last year’s champion juvenile, Hansen, by five lengths. The exacta was an endorsement for the increasing importance of the A.P. Indy male line in American racing and especially as an indicator of classic potential. Algorithms is the 12th stakes winner for his sire, classic winner Bernardini, who is a son of A.P. Indy, and Hansen is by that stallion’s grandson Tapit (by Pulpit). In winning the Holy Bull, the undefeated Algorithms took a major step up in class to defeat the current champion and leap over the comparative form of his previous start in a Gulfstream Park allowance, when he beat the Bernardini colt Consortium, who finished last in the Holy Bull. The A.P. Indy tribe and the Bernardini stock, in particular, tend to show progress toward the end of their juvenile season and through their second year, which is their classic aptitude coming into play. As important as the influence of Bernardini and his sire is to the classic potential of Algorithms, the sire is only part of the equation that produced the Holy Bull winner. Algorithms is the fifth stakes winner of his dam, the Cryptoclearance mare Ava Knowsthecode. She was a homebred for the Oakbrook Farm of the late Bill Klussman and his wife Pat. Catherine Parke, owner of Valkyre Stud north of Lexington, purchased the dam of Ava Knowsthecode, Ava Romance, for the Klussmans in 1989. The price for Ava Romance was $95,000, and the 8-year-old stakes-winning mare was in foal to Claiborne Farm stallion Majestic Light. Algorithms overtook juvenile champion Hansen approaching mid-stretch en route to an easy victory in the $400,000 Holy Bull Stakes (gr. 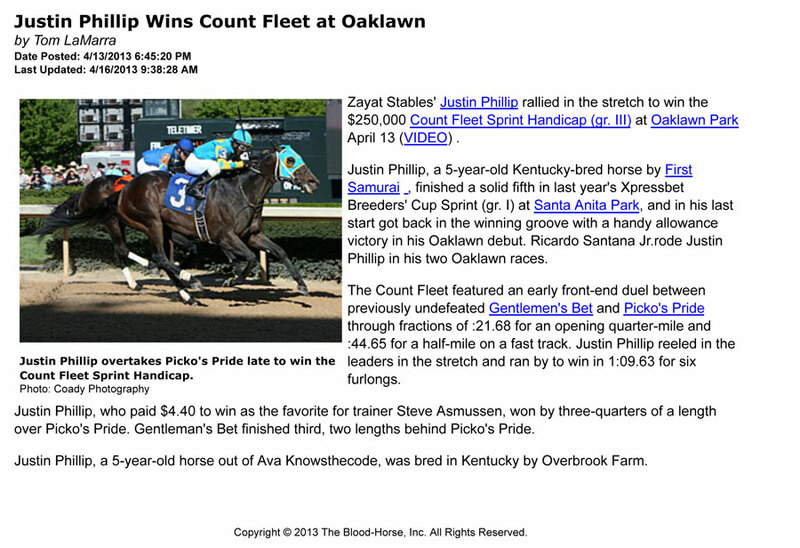 III) (VIDEO), handing the odds-on favorite the first defeat of his career Jan. 29 at rainy Gulfstream Park. The handy five-length win in the Holy Bull by Starlight Racing’s unbeaten 3-year-old son of Bernardini completed quite a day for trainer Todd Pletcher at Gulfstream. Benjamin Leon Jr.’s Besilu Stable went to $1.2 million to acquire a Bernardini filly produced from the Smart Strike mare Silk n’ Sapphire to top the early portion of the Keeneland September sale’s open sessions Sept. 13. Silk n’ Sapphire is the dam of multiple graded stakes winner Shared Account, winner of last year’s Emirates Airline Breeders’ Cup Filly & Mare Turf (gr. IT). Consigned by Catherine Parke’s Valkyre Stud as Hip No. 307, the Kentucky-bred filly was bred by Parke and Sheikh Mohammed’s Darley operation. Catherine Parke of Valkyre Stud wasn’t thinking about an exotic vacation or buying a new car after selling a Bernardini filly for $1.2 million during the third session of the Keeneland September yearling auction in Lexington. Instead she was thinking about taking care of the basics with her proceeds from the sale.